In order to apply for a grant, we will need a completed online application form located below. FOR YOUR PROTECTION – Before submitting any financial documents electronically for review, we recommend you black-out private information such as social security numbers, bank account numbers, drivers license numbers, etc. This information is not required for review! We respect your privacy and assure you that all of the information you provide will be held confidentially. With this in mind, we request your complete honesty and candor in your responses. We have done our best to keep the application short and simple. In order for us to consider your application, all information requested must be submitted completely, this includes all of the supporting financial records. We review all requests on a rolling basis and will do our best to respond promptly. Should you have any further questions, please do not hesitate to contact us directly at grants@stlfgives.org or 408-618-8093.  Sky’s the Limit Fund provides partial grants. The average grant awarded is around $3,000-$5,000 and can be more or less depending on financial necessity. Income should not exceed $85,000 per year. Applicant must not already be enrolled in the wilderness therapy program. Grant funds are available for youth and young adults ages 10-25. Grant application must be complete and with all required documentation. Applicant’s primary address must be in the U.S.
Once a completed application is submitted, a Sky’s the Limit Fund (STLF) program coordinator will assess eligibility. Requests are reviewed on a rolling basis. Please note that STLF provides partial grants only and does not provide full scholarships. STLF will contact applicant to set up an interview date and time. STLF will conduct a telephone interview with both the parent(s) and/or student. Once the above items have been completed, STLF will review gathered information. The review process can take up to 3-6 business days. Amount of award and number of grants awarded varies based on available funds. There is no fee to apply or re-apply. Grant funds expire after 15 days. If you are unable to admit your child into the program in that time, you must reapply. Please signal your agreement by clicking Agree in the box above. If you would like to cancel, you will be returned to our homepage.